As parents, it’s our responsibility to make sure our kids are cared for. We go out of our way to keep our kids safe, from buying bicycle helmets to Band-Aids to winter coats, right down to holding their hand when they cross the street. Most of us worry endlessly about our kids’ well-being. I know I do! But as much as we worry about the little things, it’s sometimes easy to let the big things, those risks and dangers that are a little more intangible—slip by ignored or unattended to. A big part of protecting our kids, as well as securing financial peace, is making sure our families are covered for the big things including natural disasters, an injury or illness, job loss, or worse. Even so, it can sometimes be hard to determine exactly what coverage you need, especially when it seems like most insurance salesmen only want to play on your emotions. When money is tight, you certainly don’t want to overspend on coverage that you don’t need, but you need be protected from major catastrophe. The best approach is to do your research ahead of time and be aware of the state of your family’s finances before you get a sales pitch. It is important to remember that it’s not the insurance agency’s role to make sure you’re getting the best deal on insurance. It is up to you to be your own advocate and to get the best rate. Insurance isn’t something you can put on the back burner and just pay each month. To get the best rates, you must continuously (at least once a year) revisit your insurance policies and do some comparison shopping. Plans and offers are constantly changing to meet the needs of the market. Rates can fluctuate as your family’s needs and situation change as well. Adding another driver, building on an addition to your home, changing your security system, or bringing a new member of your family into the world can all raise insurance questions and call for a little guidance. There are seven types of insurance that you NEED: Homeowners/Renters, Auto, Health, Disability, Long-Term Care, Identity Theft, and Life. Other insurances you should consider is also boat, farm and travel. If you’re paying a mortgage, the lender requires homeowner’s coverage, but even if you’re lucky enough to own your home outright, you want to be sure that you’re protected. For renters, insurance protects your possessions in case of fire, theft and, in some cases, flood. Renters insurance is often thought of as optional, but as a parent, you must cover yourself in case of tragedy. Renters insurance is often really quite inexpensive (less than $20/month!) and it’s very important if you have big-ticket items that might be difficult to replace, such as audio equipment, collectables, exercise gear, televisions and appliances. Take inventory of your household and make a list of those larger items that could be damaged or stolen, and would result in major financial hardship if you’d have to replace them. There are several ways to save on homeowner and renter’s insurance. You can raise your deductible, combine policies and do some home improvements and emergency preparations to raise the protection level on your home. Improvements to home security can also help you save, as can new windows, doors, and extreme weather protection. When we think insurance, auto insurance is often the first thing that comes to mind. Driving is possibly the highest risk activity that any of us do almost every day, and we all know the importance of having liability coverage. In many states, it’s now illegal to operate a vehicle without liability insurance or proof of financial responsibility. In our litigious society, unfortunately, coverage is mandatory to protect yourself from financial ruin in case of an accident or driving mistake. One moment can change your life and the life of another driver forever. Trust me, your mind will be at ease when you know you’re protected. When it comes to auto insurance, the value of your vehicle is important when you’re determining the amount of coverage and type of insurance you need. If your car is in its twilight years, you may feel comfortable with less coverage or just liability. If you have a newer car (or if you’re paying off a car loan), you need to have full coverage to keep your investment safe. There are several other ways to save on car insurance. Shop around, compare rates, and don’t become too loyal to just one agency or provider. There are good driver discounts, multiple car discounts, and even good grade programs for driving teens and students. Installing safety upgrades or attending defensive driving courses can also help lower your monthly payments and save you when it comes to paying for coverage. Health insurance is so important. As parents, we know we must take children to the doctor for regular checkups. We also know that serious health issues can come out of nowhere, and without coverage they can leave households financially devastated. For the many of us just surviving in todays middleclass, we make enough to pay all our bills, not enough for the extras, and too much for any assistance such as government plan health insurance such as Medicaid, family health plus and their attached HMO plans. Many employers offer health insurance at a cost which also requires deductibles and co-pays, but if yours does not, or if you’re independently employed, private insurance providers are available. 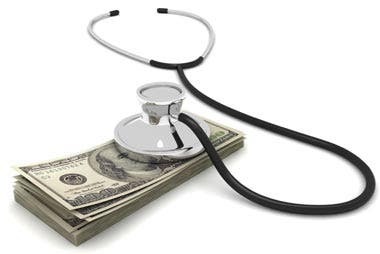 Under the Affordable Care Act, you may qualify for low-cost coverage based on your income. Keep in mind though, low-cost means anywhere from $200-$400 per person a month with deductibles and co-pays which is low cost for health insurance. 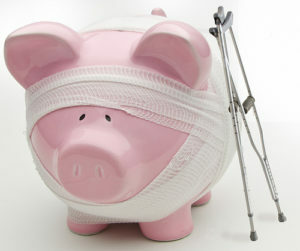 Consider a Health Savings Account and/or a high deductible plan to save the most. An HSA can save families thousands of tax-free dollars every year, which you can use toward your deductible, so your monthly premium will be lower. You can use your HSA for prescriptions, and depending on the plan, eye exams and preventative care. Disability insurance should cover 65% of your income, and most employers offer disability coverage. It’s often something that’s overlooked, but one in seven workers will face a disability before retirement. You should be sure your disability insurance is long-term. 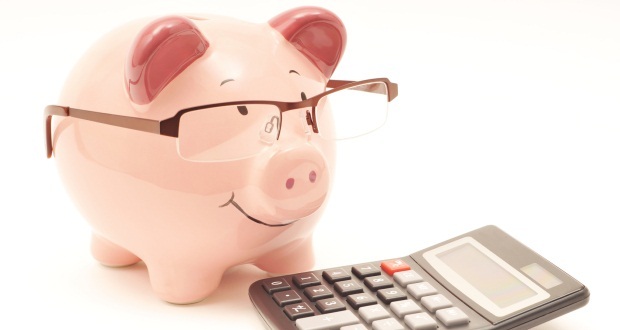 My personal opinion is that you should have 3–6 months of expenses saved up, which would cover your needs in the case of a short-term or minor disability. It’s the long-term scenarios that you should plan for. Most disabilities (90%) are not covered by worker’s comp or social security. The effects of a disability can financially ruin a family if you’re not properly prepared. Many workers facing disabilities can be out of work for three years or more. Consider what would happen to your family should they face an unforeseen accident or tragedy that leaves you unable to work. As a parent, long-term care is not necessarily something that’s on any of our minds, but it’s a necessity for anyone over age 60. If your parents cannot afford long-term care insurance, this may be something you want to consider. Consider the scenario of a parent who is facing a condition like dementia, Alzheimer’s or Parkinson’s disease, and requires long-term care. This situation can quickly eat up your parents’ retirement savings and even dip into your own savings and accounts. Those who qualify for Medicaid will receive some assistance, but it often leaves patients with limited options and plans for complete care. As you near your 60s, long-term care should be on your horizon and part of your post-retirement financial plan. It’s a way to make sure you don’t financially burden your children or spouse and ensures you won’t leave them unable to make ends meet. If you’ve never faced the horror in dealing with having your identity stolen, then consider yourself very lucky. With data breaches on the rise among major retailers, it seems like everyone is at risk. Identity theft can cost you big-time in terms of time, money, effort, and just general headaches. In a worst-case scenario, identity theft can damage your credit and make recovery very difficult—even if you’re an innocent victim. Part of your insurance portfolio should include identity theft protection. You should be sure it includes an identity restoration service that can fix the damage and get your identity restored and safe once again. Teaching your family good identity-safety habits such as limiting your exposure online and protecting your passwords can help protect you as well, but should the worst happen, insurance will be a lifesaver. 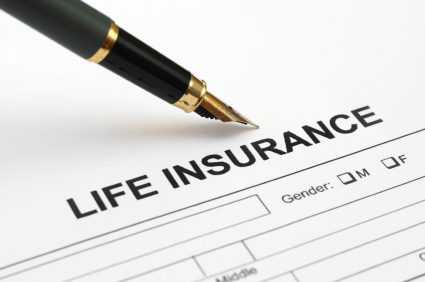 Life insurance can be a little confusing. The general rule of thumb is you need term, not whole life. Cash value insurance can sound like a great way to invest and save money, but truth be told, it doesn’t offer high returns at all and generally is a poor performing product. Term life insurance, on the other hand, is a way to cover yourself until you’re debt free and in a position to invest. It offers a way to help your spouse or children settle your estate and survive in relative comfort should something happen to you. Term life insurance can help you cover burial costs and the costs of paying off your debt, plus further support of your family, particularly if you’re the sole breadwinner. Facing uncertain scenarios in life is always unsettling, but having the proper insurance coverage can ease your mind and allow you to sleep a little easier at night. Look into the faces of your children and think of all the ways you would love to keep them safe. 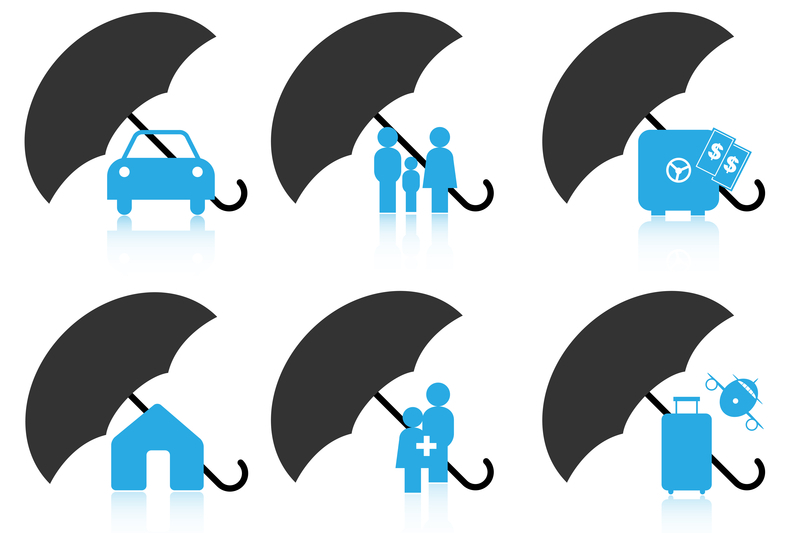 Insurance is one of the most simple, practical, and logical ways to protect your loved ones. The terrible health and social consequences of being a smoker are convincing more and more people to make the switch to smoking electronic, or e cigarettes. E cigarettes provide smokers with a means to avoid the agonies associated with nicotine withdrawal, without the harmful side effects caused by tobacco usage. Unlike using snuff, chewing tobacco, pipes, cigars, or other ways to obtain nicotine without smoking cigarettes, e cigarettes completely free former smokers from the toxic and carcinogenic effects of tobacco smoke. Within a few weeks of switching to e cigarettes, smokers find that they stop coughing, regain lung capacity, and generally feel much healthier. 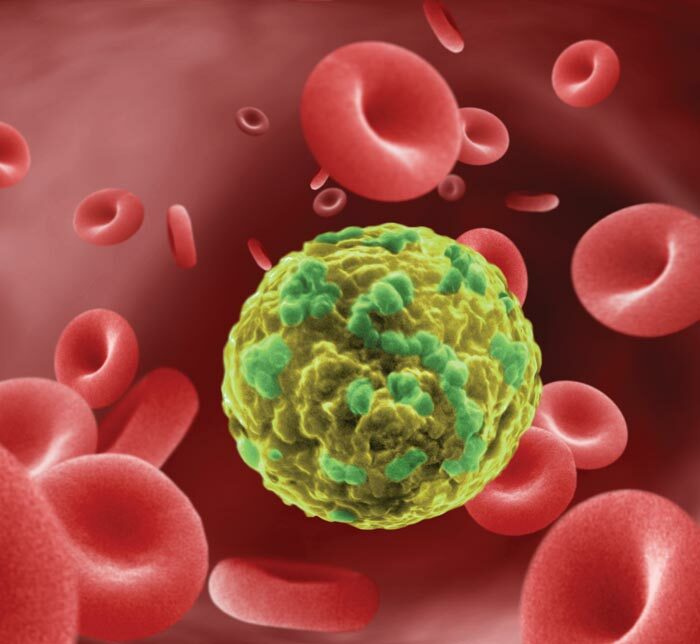 Even though the carcinogenic effects disappear, the carcinogen matter doesn’t. A recent study claimed hidden high levels of the carcinogen formaldehyde were found in e-cigs, potentially increasing lifetime cancer risk by 5 to 15 percent. People using, or considering using electronic cigarettes should acknowledge that they are not healthy for you. Using them entails inhaling a highly addictive, somewhat toxic compound – nicotine – into your lungs. Hence, just like cigarettes are highly addictive, so are electronic cigarettes. As a result, all of the side effects associated with nicotine use are associated with electronic cigarette use. That said, electronic cigarettes are certainly preferable to traditional tobacco products, because even if they contain nicotine and entail its side effects, they do not contain the thousands of other toxic compounds in tobacco that cause other health issues. For instance, nicotine, on its own, is not known to be a carcinogen. This means that nicotine alone does not cause cancers; the many other tobacco compounds found in cigarette smoke, as well as additives that cigarette manufacturers add, cause cancers. Cigarettes contain over 4000 chemicals, including 43 known cancer-causing carcinogenic compounds and 400 other toxins. So, though electronic cigarettes are admittedly, somewhat negative for your health, it seems that they are far less risky or unhealthy than using tobacco. Some doctors and researchers even suggest that switching from tobacco use to e cigarettes is an effective implementation of a strategy known in the medical world as “harm reduction”. The idea behind harm reduction is that though addiction (such as that of a smoker’s to nicotine) and other issues will lead some people to participate in behavior that is detrimental to their health, that these people should be encouraged to engage in those behaviors that are of the least harm to themselves and others as possible. Harm reduction only reduces, but does not cure nor put an end to habit. It minimizes the smoker’s exposure to toxic and carcinogenic compounds while satisfying their physiological and psychological cravings for nicotine. The switch to e cigarettes also reduces the health impact that smoking has on bystanders near a smoker. while a smoker will pollute the air around them with side stream and second-hand smoke, a person using an e cigarette inhales harmful products, but exhales a harmless vapor that dissipates nearly instantly. 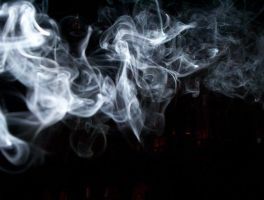 Though this vapor looks like smoke, it is odorless, and contains none of the chemicals that are so harmful in secondhand smoke via cigarettes. As a result, bystanders have nothing to worry about whenever someone smoking an e cigarette is nearby. If more people switch to e cigarettes, the negative public health effects of secondhand smoke will be reduced, but the harm done to its host and addiction does not completely disappear. The nicotine that is contained within electronic cigarettes is known to have certain side effects. But first, a few facts about nicotine: first, it is highly toxic. Doses over 30 mg have the potential to be fatal to human beings, who have a fairly low nicotine tolerance (however, ingesting this much nicotine at once would require smoking at least a pack of cigarettes simultaneously, affixing dozens of nicotine patches to the body at once, or drinking the fluid from e cigarettes – as a result, death by nicotine poisoning, like many other substances, is a very difficult thing to achieve by accident). In the lower doses that are administered by tobacco products (measured in single milligrams), nicotine has various effects. It is a mild stimulant, and like most stimulants, it affects the cardiovascular system. It elevates heart rate, and constricts the blood vessels in the body. As a result, the use of nicotine is strongly related to the development of heart disease, high blood pressure, and vascular diseases. Given that coronary heart disease is the leading cause of death of people within the United States, this is certainly a serious concern to be aware of. In addition to nicotine, the liquid that is used by e cigarettes contains two or more other compounds: the base compound (propylene or vegetable glycol), and one or more food flavoring compounds (which give the vapor a flavor). The base compound, usually propylene glycol, is listed by the United States Food and Drug administration as a compound “generally recognized as safe” for use in products that humans use. Hence, it’s used in foods, medicines, cosmetics, and other products quite regularly without ill effects. The food flavor compounds used are the same compounds that one would find in candies and other processed food products on a regular basis, and as a result, are recognized as safe. Neither is known to cause side effects. So regardless of the much popularity amongst potential quitting smokers, electronic cigarettes are not intended to be used as a smoking cessation aid. Some people find that it is helpful to kick the tobacco habit before working on kicking the nicotine habit so don’t expect to rely on E-cigs to do the job of quitting smoking. Cigarettes may have been an addiction you are fighting to quit, but E-cigs can become your next. X-out E-Cig reliance.